England need to beat Slovenia at Wembley on Thursday to clinch their place at next year's World Cup in Russia. Gareth Southgate's side require just two points from their final two qualification matches to finish Group F as winners but they can seal their place with a game to spare if they beat third-place Slovenia. Harry Kane will captain his country again but Southgate is yet to appoint a permanent skipper since replacing Sam Allardyce. The reverse fixture between England and Slovenia in October 2016 was a narrow 0-0 draw and with Thursday's opponents still hopeful of a play-off place, Southgate expects another stern test. "They have to win the game," the England boss said. "With their position in the group, and Slovakia's second game being against Malta which you'd expect them to win, Slovenia need to win which makes them a dangerous opponent. "Up to this point, they haven't conceded many goals at all so it's a great challenge for us to change that stat. "We have some exciting attacking talent and we are a win away from getting to Russia so we're excited about that and it's something we want the whole country to be excited about." Tottenham midfielder Harry Winks has been called up to the senior England side after the withdrawals of Fabian Delph and Phil Jones earlier this week due to injury. Dele Alli is also unavailable after being handed a one-match FIFA suspension after he made an offensive gesture in England's 2-1 win over Slovakia in their World Cup Qualifier at Wembley in September. Slovenia look to be heading into the tie with a full-strength squad, with Atletico Madrid goalkeeper Jan Oblak expected to start in goal on Thursday. England have won four and drawn one of their five previous meetings with Slovenia, with their solitary draw coming under Gareth Southgate back in October 2016. England have lost just one of their last 18 matches at home, and none in the last eight (W7 D1). Slovenia have lost just two of their last 11 matches in all competitions, winning five (D4). Only Germany (2) and Northern Ireland (2) have conceded fewer goals in European World Cup qualification so far than England (3). Seven of England's last nine goals have either been scored or assisted by Tottenham players. Josip Ilicic has been directly involved in seven goals in World Cup 2018 qualification (three goals, four assists), five more than any other Slovenia player. 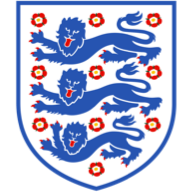 I personally need England to win to give any hope to my country Scotland and Southgate's side will typically do it the hard way. They have something of a point to prove after a sluggish three or four matches. Considering the players they have they should have put Group F to bed two or three games ago. Southgate is under pressure and we don't know what formation or system he wants to play. I'm all-in for England and hope they do us a favour, but I'm not convinced it will be comfortable. Quite rightly everybody is talking about Kane - he's been explosive - but I just don't see the benefits of adding the additional burden of captaincy. If England don't get a result then suddenly people are looking at him in a different light. It won't be a sparkling performance and I can see it taking some time to really wrap it up, but with Kane in the team they should be able to break down Slovenia. Watch highlights of England v Slovenia on Sky Sports Football from 10pm on Thursday.